At Strength & Vitality Wellness Center, we have an opportunity for you to get a thermography scan right here in our Mt. Washington, Baltimore office several times a year. 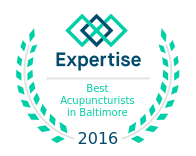 Book your appointment now by clicking the button below. First, choose the type of thermography service you need, then make sure to select our location! With any questions about thermography or scheduling, please contact the Longevity Centers directly at (888) 580-0040 or email thermography technician Tammy Leiner at tammypsr@yahoo.com. A full-body thermogram scan can show early signs before they turn into diseases and health conditions. Inflammation is a precursor to many diseases, including but not limited to breast cancer, arthritis, stroke, heart disease, hypertensions and diabetes. Thermography is a diagnostic tool that allows us to record heat patterns caused by inflammation and analyze them for abnormalities. Strength & Vitality Wellness Center has partnered up with Longevity Centers LLC to bring convenient thermography services to our clients. This 15-minute, pain-free and non-invasive procedure can help detect irregular patterns without the use of radiation years before mammogram. Thermography testing can be used for early diagnosis and prevention of breast cancer between mammograms or as an alternative to mammography. The next session is November 7th, 2018. Avoid heavy exercise, deodorant, spicy foods, hot beverages, body creams and lotions, gum chewing, and tight-fitting clothing on the day of your thermogram. Contact us if you have any questions or if you are unsure whether a thermogram is the right solution for you! Thermography can be used on many parts of your body, not only breast tissue, and is a good way to proactively manage your health. This test is designed to improve chances for detecting fast-growing, active tumors. No radiation involved – the procedure is completely safe. It’s pain-free and highly accurate. Mammography detects masses, while thermography detects development of unhealthy tissue before it turns into a disease. Measuring inflammation through thermal imaging on a consistent basis can also be very effective for detecting the severity of an existent medical condition. If your thermography scan reveals inflammation, Strength & Vitality Wellness Center can help you design a regiment that will help reduce it over time. Inflammation can be reduced by dietary changes, supplements, detoxification, stress-reduction and acupuncture. Let’s work together and see what progress we can make before your next thermography appointment!